ICE is very happy to present its new artist for the next 3 months: Alice Laverty! Through her exhibition “CONNECTED BODY” this female painter offers us sensual and spiritual paintings that questions our corporality in the light of Transhumanism. Fascinated by the individual and the body as a vehicle of emotions, she also defends a respect for the “female figure” by her representations and carefully thought out staging. The artist deepens her artistic queries with regard to humans, his addiction in regards to new technologies of communication, a human subject to his emotions. She is an artist who seeks to put the body and its emotionality face to face with new technologies. 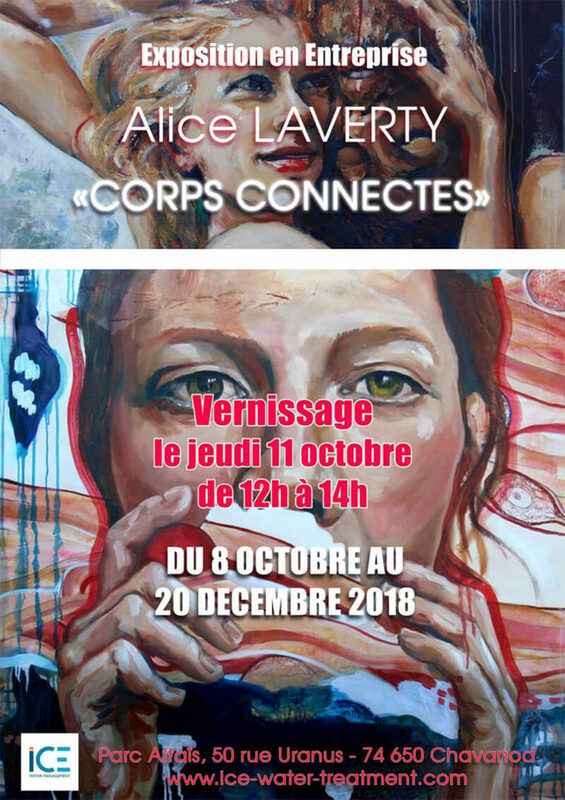 A contemporary artist, Alice Laverty defends, in form, figurative paints in our era, and works, fundamentally, on the new challenges of our corporeality, at the time of the injunctions of permanent connections. The opening will take place on Thursday, October 11th from noon until 2PM at ICE / 50 rue Uranus Chavanod, France.